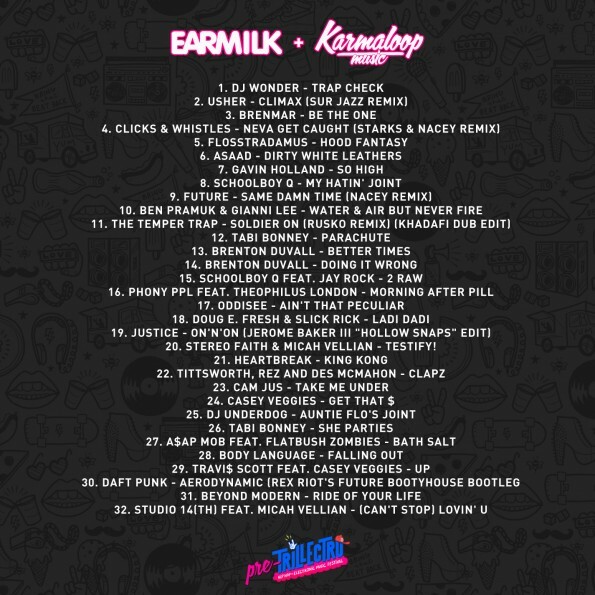 As we approach TRILLECTRO, the first festival of its kind in D.C., Earmilk has teamed up with Karmaloop Music and our friends over at DC to BC to bring you this compilation. Mixed live by Stereofaith and compiled by DJ Spicoli and Jerome Baker 3rd, this hour-long sonic stew is sure to get your head right for the event taking place this Saturday, August 11th at the Half Street Fairgrounds. What began as a fledgling college radio show and a humorous, music-based lifestyle blog started by two Washingtonians at Boston College evolved into an acclaimed social movement for the greater good. Pool parties, House parties and kickbacks aimed to shake up the social scene in the nation's capital soon grew to sold out events with Kendrick Lamar, Big K.R.I.T., Jesse Boykins III, Sinden, and more. After a trip to Coachella this year, they decided to organize TRILLECTRO, an all-day out music festival merging hip-hop and electronic music, and have recruited 22+ incredibly talented acts for an , first-of-its-kind event. from emerging Chicago trap music innovators FLOSSTRADAMUS to Los Angeles rising icon ScHoolboy Q to Brooklyn-based Body Language and DC legends Tittsworth, Oddisee, Tabi Bonney and many, many more. This festival is an ambitious attempt at getting folks with glow sticks and gold teeth in the same place. To prepare it's over 4,000 attendees for what they're about to witness, Karmaloop and Earmilk have joined forces with the DC to BC team to put together one of the best mix compilations of the year. If you haven't already, get your tickets now, HERE.